Lit from Within: EcoPolo challenge - Sheswai Sunburn! Hello, Fireflies! 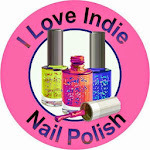 Today's challenge is about the sunburn, and these polishes are sooo hot, they'll burn ya! This polish was love at first sight for me, which is kinda unusual for a red that's not holo. It's Sheswai Honey Fox, and it just looks like it came from a fox, doesn't it? It's got a slight hint of orange, like it was swirled with honey. Perfect name. 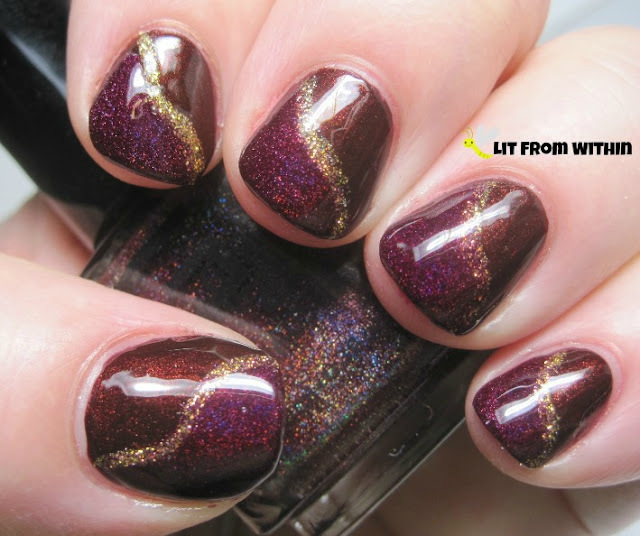 I was inspired by this pin of a mani by ChristaBell Nails for both my manis today. 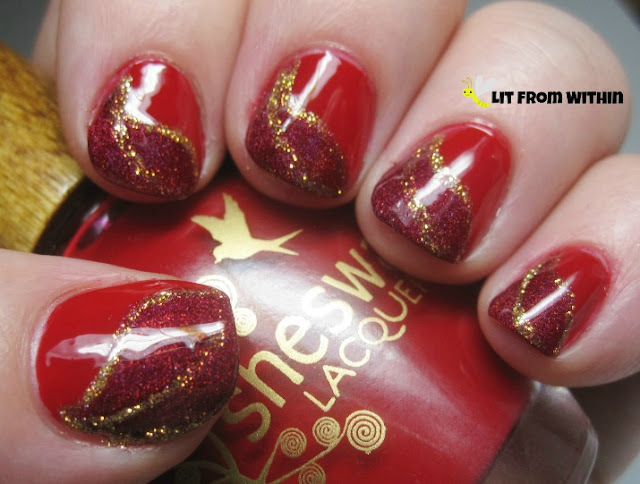 For this one, I took another hot polish, Glitter Gal Hot Chilli, and applied it in a swerve on the lower half of the nail. A gold striper to outline and define finished the look. Hot to the touch! 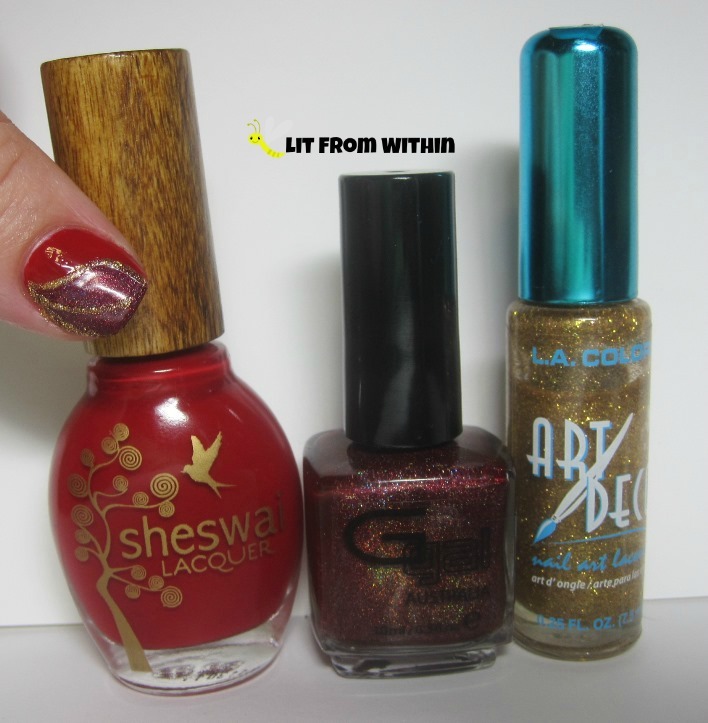 The bottle shot: Sheswai Honey Fox, Glitter Gal Hot Chilli, and a gold nail art striper. We're not done yet! 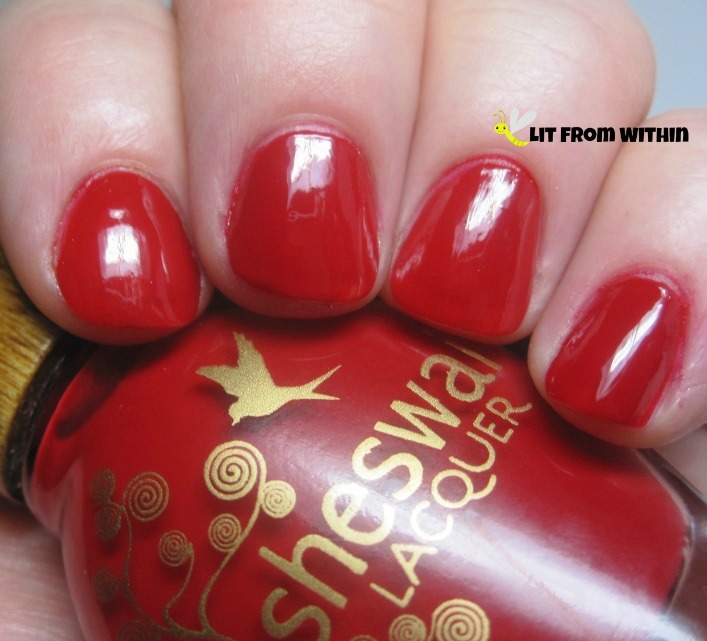 This polish reminded me of that smoldering burn when the sun goes down. 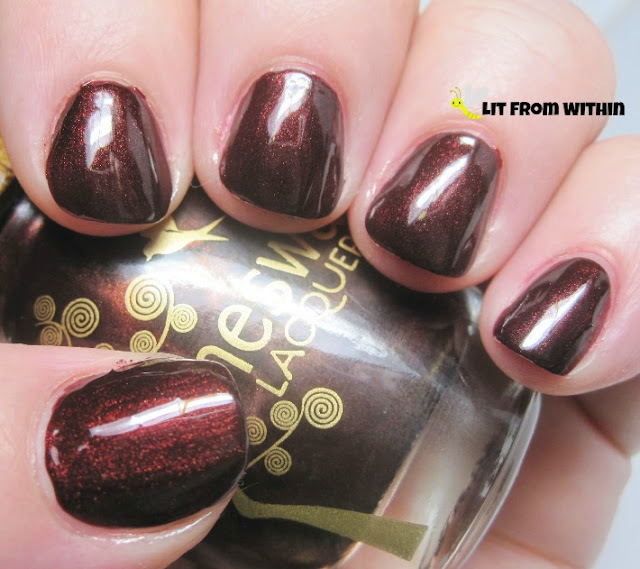 This deep burgundy has a gold shimmer that burns from within. This is Sheswai Badass. Yeah, that's right, Badass. 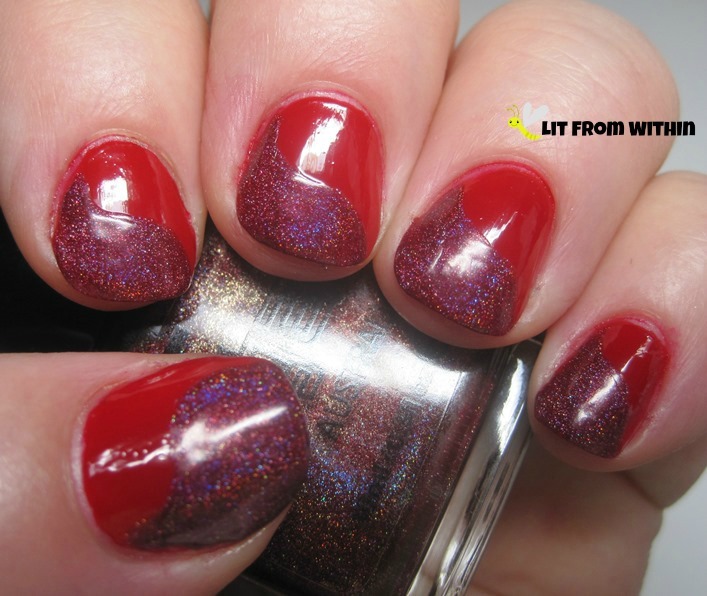 This time, I made the swerve pattern with Glitter Gal Transfusion, a deeper wine-colored holo. 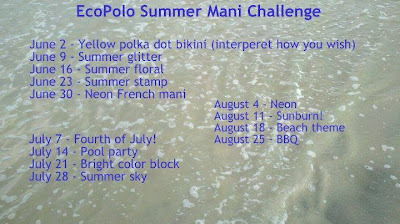 I added a simpler design with the gold striper. That stripe just changes the whole look of the mani. 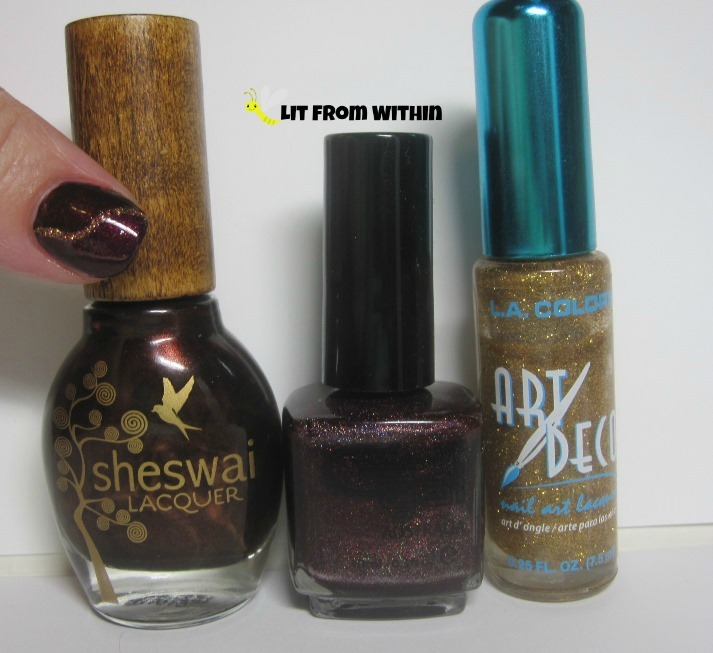 bottle shot: Sheswai Badass, Glitter Gal Transfusion, and a gold nail art striper. 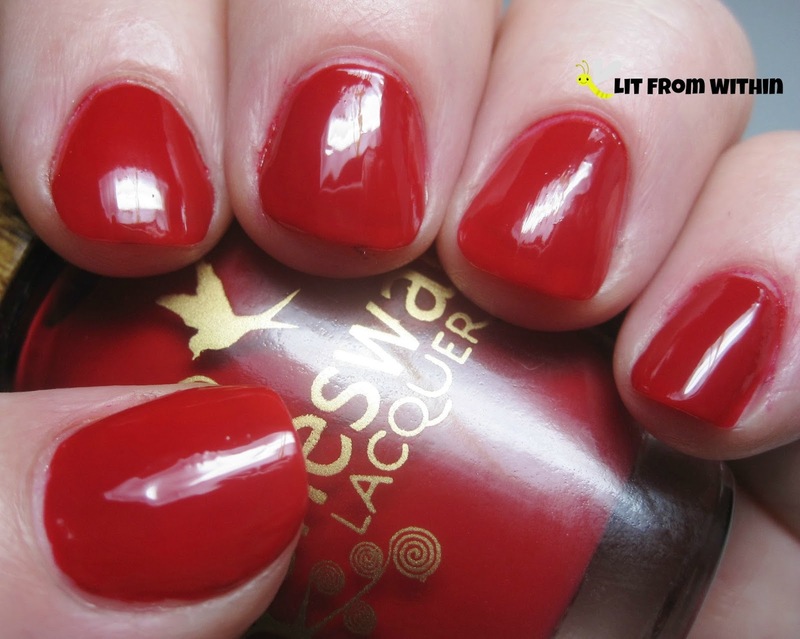 So, were you burnt by these hot, hot polishes? Time for some aloe and a cool drink! 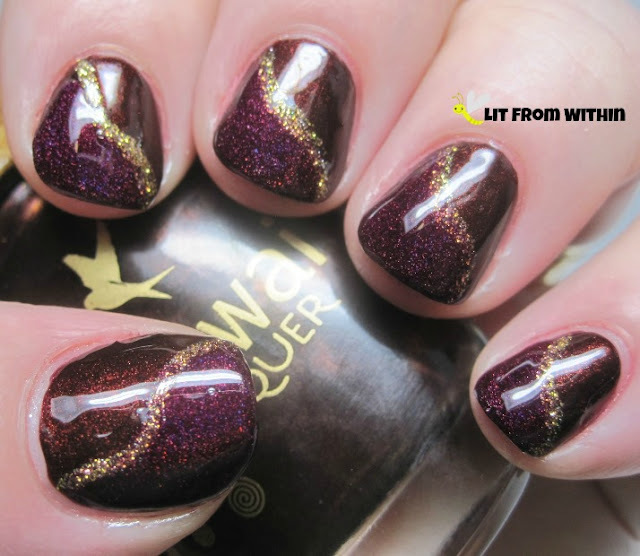 I love those deep purple-maroon polishes! They are gorgeous! These were really good, Nidia. You have such an eye for combining colors. Thanks, T! What's funny about these is that I happened to buy all 4 from the same shop that was having a sale, so they all came here together.. and then I decided I wanted to use them all together, too!